Get notified when Mamma Mia tickets are available! Mamma Mia! is a musical written by playwright Catherine Johnson and has been based upon tracks performed by ABBA. 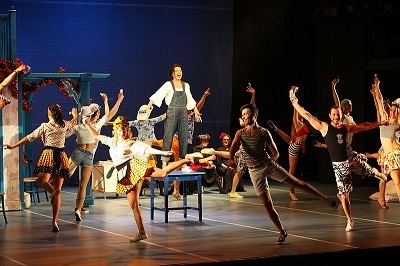 The songs in the musical were written by two men who are former members of the band. The title, “Mamma Mia!” is taken from ABBA’s 1975 hit of the same name. Including popular songs such as “Super Trouper” and the wildly popular “Dancing Queen,” Mamma Mia! was first performed in 1999 in the Prince Edward Theatre in the City of Westminster, London, and tours to this day. You can see the play for yourself by purchasing Mamma Mia! tickets using the links above.